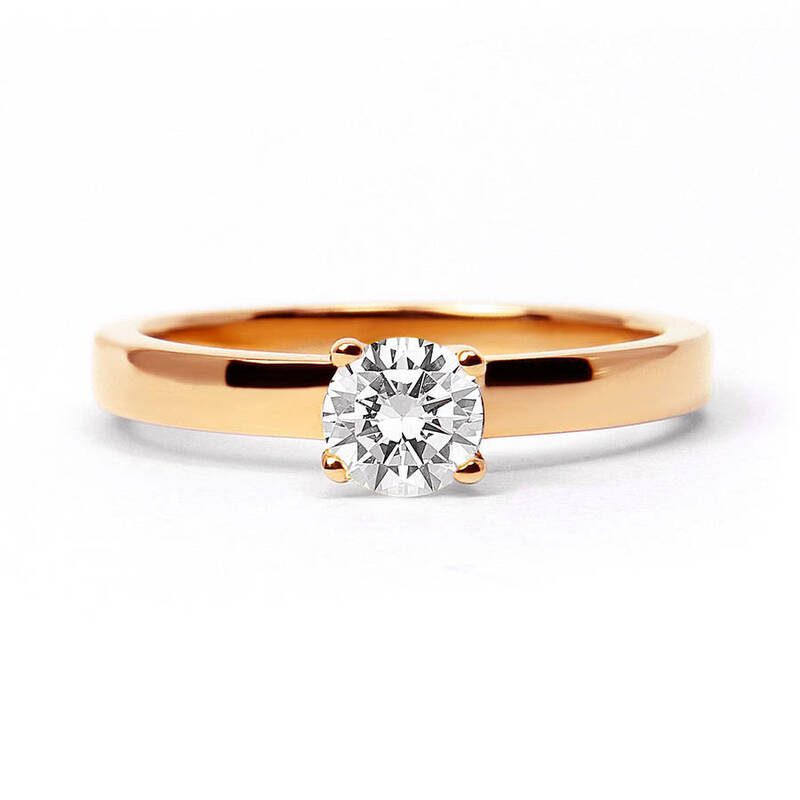 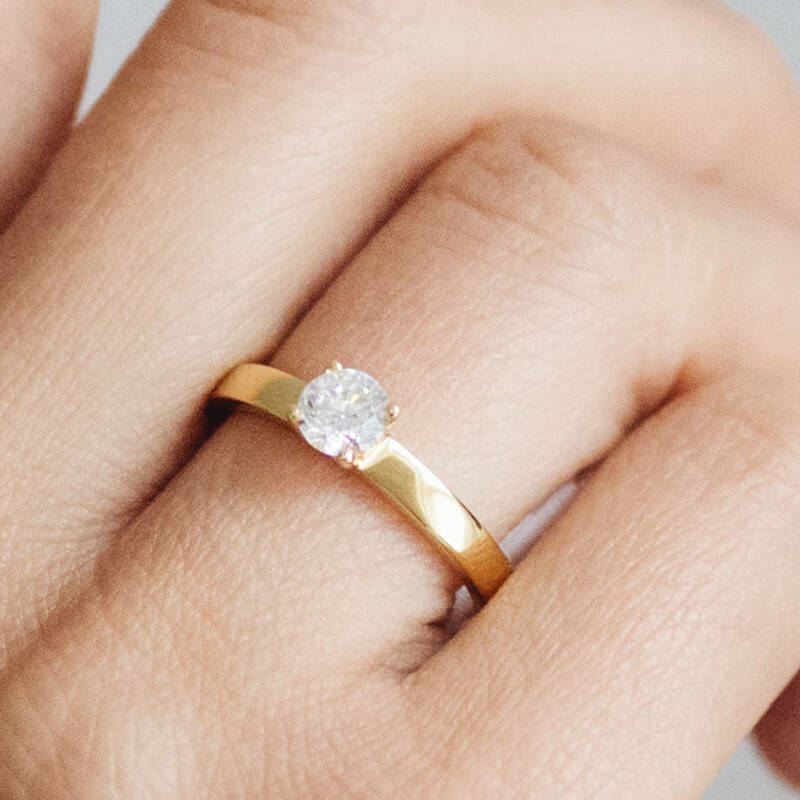 A modern engagement ring for the ethical bride-to-be. 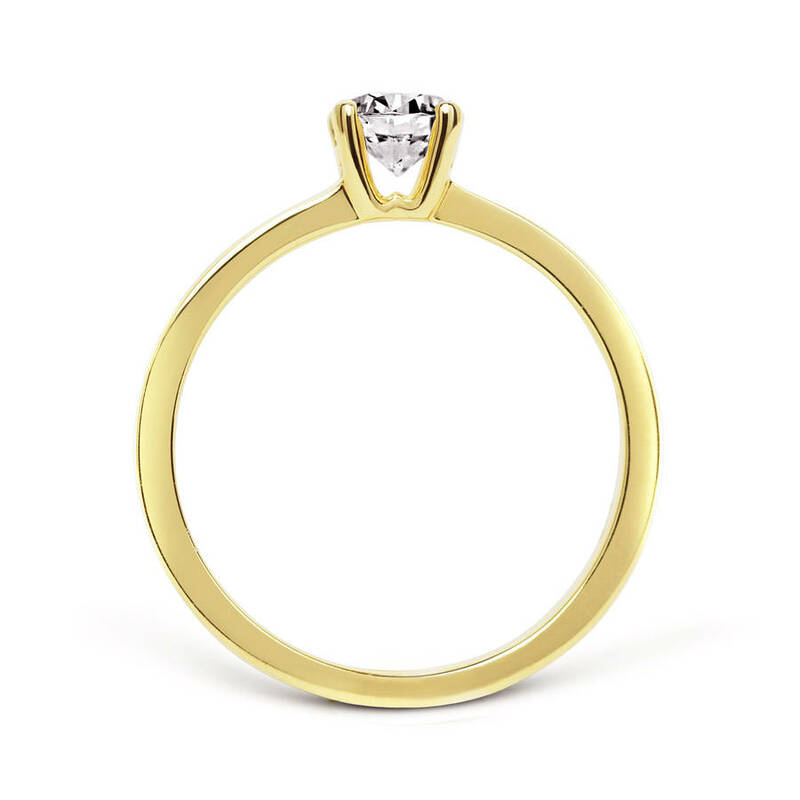 Featuring an 18ct Fairtrade certified gold band and crowned with an ethically-sourced claw set diamond, this ring truly is beautiful both inside and out and a great choice for the eco-conscious woman. 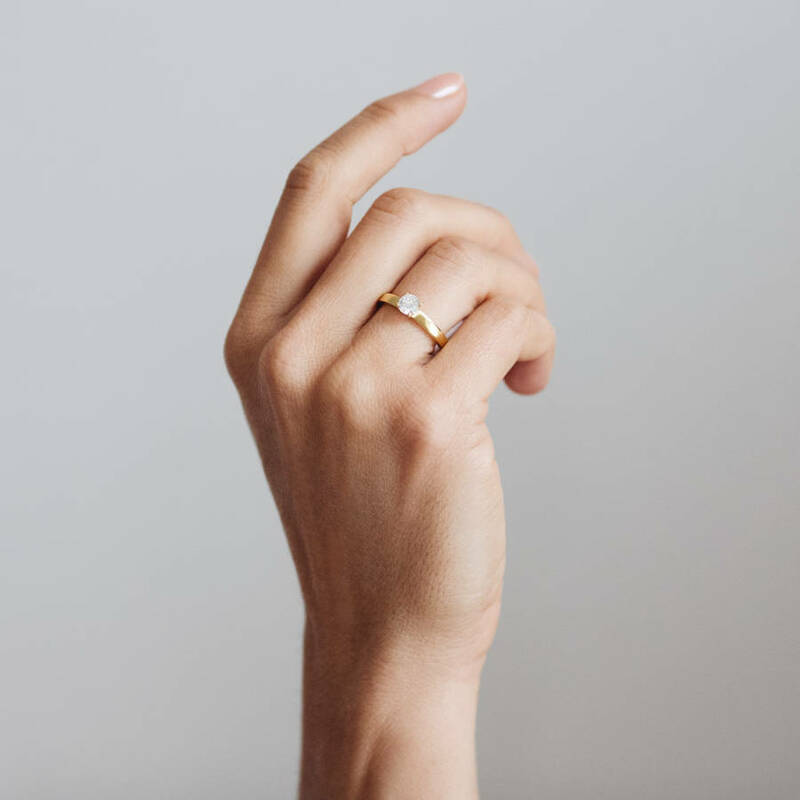 For your peace of mind, the Aurora ring will arrive accompanied by a certificate of authentication to assure you both that it has been made with the most ethical materials available.